Bring your friends and family to the island’s beaches on Sunday, September 9, and help keep our beaches clean and free of materials that can both damage wildlife and adversely affect our own food chain. The annual beach cleanup is not just happening on Bainbridge; volunteers from states across the U.S. and more than 100 countries come together each year as part of the International Coastal Cleanup. 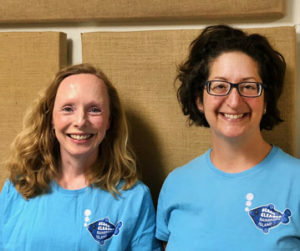 In this podcast Sustainable Bainbridge president Christine Perkins talks with Deb Rudnick, an environmental scientist and chair of the Bainbridge Island Watershed Council, about the many local, national, and international organizations involved in the cleanup, and what we as concerned citizens can do — not just on Beach Cleanup Day, but every day — to improve the health and beauty of our environment. 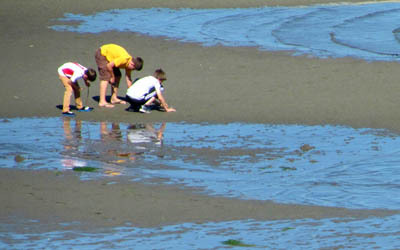 Beach cleanup volunteers are encouraged to register in advance of the Sunday event at https://www.signupgenius.com. The main effort is focused from 10am to 2pm on Sunday, September 9th, but your help is appreciated anytime. More information can be found at the Sustainable Bainbridge web page for the event. There’s also a Facebook page. Credits: BCB host, Christina Hulet; audio editor and publisher, Diane Walker; social media Jen St. Louis. What is HRB and what do they do?